For the second consecutive year, a book designed by yours truly has been awarded the prestigious British Golf Collectors Society Murdoch Medal. 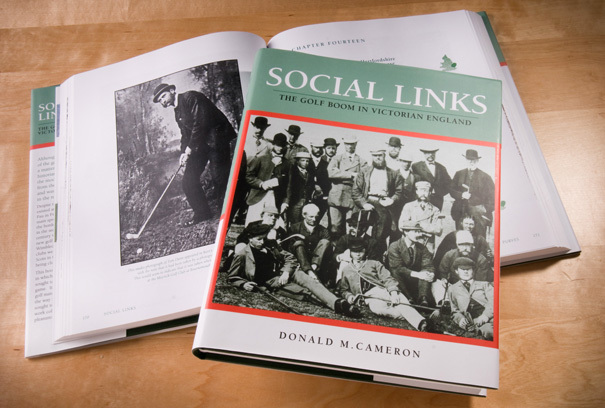 In July, on the eve of this year’s Open Championship, the Society announced that Social Links – The Golf Boom in Victorian England had won the 2010 award for what the committee regard as the outstanding publication on the history of golf in the previous year. Its Cambridge author, Donald Cameron, received the medal during the Society’s Annual Dinner, held this year at Scotscraig Golf Club, Tayport.